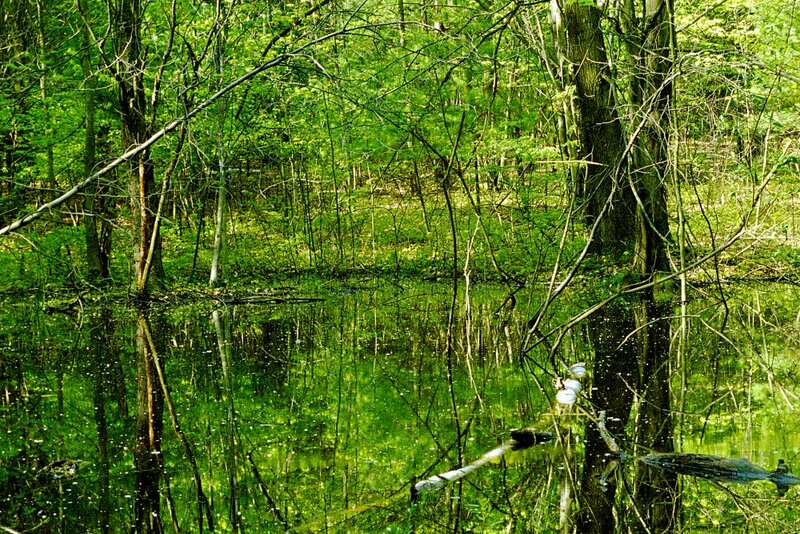 This vernal pool lives in the Binghamton University Nature Preserve. The Nature Preserve is not so much a Preserve as a laboratory for the life science departments at the University. So for example, the University (I say this reluctantly, because I don’t who exactly does this sort of thing) periodically dredges the pool so that it will continue to collect water and be a vernal pool. Left alone, the pool will fill up with sediment and organic matter. No pool, no pool habitat, no instructional or experimental opportunities using a vernal pool, or at least one of this size. So even if one supposes Nature exists, this place is not natural in some important ways. Some suggest that this dynamic in fact defines the geologic epoch we live in. Rather than saying we live in the Holocene Epoch, they say we live in the Anthropocene. I think this is one the right track, but not quite there. It is not so much that humans now have the defining impact on the earth, as it is that Human/Machine hybrids, Cyborgs, do.